A consortium led by SoftBank Group Corp will buy a large number of shares of Uber Technologies Inc in a deal that values the ride-services firm at $48 billion, Uber said on Thursday, in a victory for new Chief Executive Dara Khosrowshahi. The price is a roughly 30 percent discount to Uber’s most recent valuation of $68 billion. The deal will trigger a number of changes in the way the board oversees the company, which is dealing with federal criminal probes, a high-stakes lawsuit and an overhaul of its workplace culture. SoftBank and the rest of the consortium, which includes Dragoneer Investment Group, will own approximately 17.5 percent of Uber, a person familiar with the matter said. That stake includes a share purchase, through a tender offer, from earlier investors and employees at the $48 billion valuation, as well as a $1.25 billion investment of fresh funding at the $68 billion level. Uber said the deal will close early next year. On Thursday it said that existing investors had agreed to sell enough shares for SoftBank to go through with the transaction. SoftBank itself will keep a 15 percent stake, while the rest of the consortium will own approximately 3 percent, according to a second person familiar with the matter. Khosrowshahi, who took the top job in August after Travis Kalanick was forced to step down in June, helped negotiate the deal. Uber is losing more than $1 billion each quarter, and a new cash infusion is critical. The company is also planning an initial public offering in 2019. 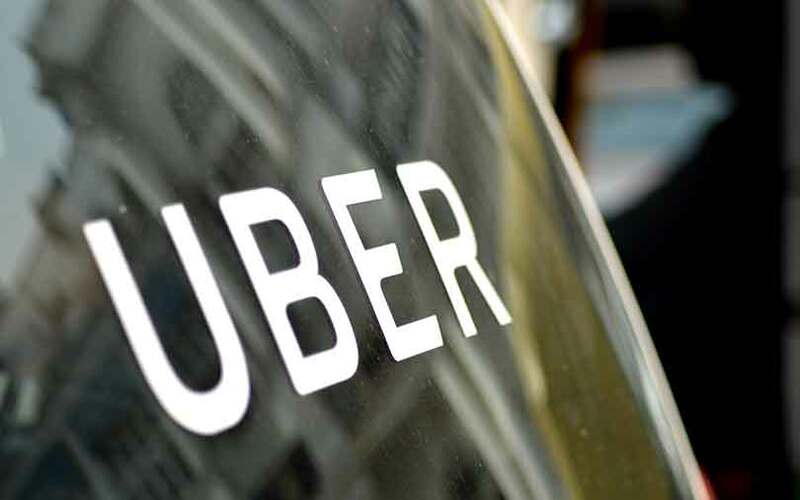 Uber will use the investment “to support our technology investments, fuel our growth, and strengthen our corporate governance,” a spokesperson, who declined to be named, said. When the deal is completed, the company will make governance changes, expanding Uber’s board from 11 to 17 members including four independent directors, limiting some early shareholders’ voting power and cutting the control wielded by Kalanick, who remains on the board and is still one of the largest stakeholders.Khosrowshahi, who took the top job in August after Travis Kalanick was forced to step down in June, helped negotiate the deal. Uber is losing more than $1 billion each quarter, and a new cash infusion is critical. The company is also planning an initial public offering in 2019. When the deal is completed, the company will make governance changes, expanding Uber’s board from 11 to 17 members including four independent directors, limiting some early shareholders’ voting power and cutting the control wielded by Kalanick, who remains on the board and is still one of the largest stakeholders. “The stockholders did the smart thing. The price is less important than locking in the governance changes and securing the support of the world’s most powerful technology investor,” said Erik Gordon an entrepreneurship expert at the University of Michigan’s Ross School of Business. Rajeev Misra, chief executive of SoftBank's Vision Fund, a $98 billion tech investment vehicle, will join the Uber board, The Wall Street Journal reported. SoftBank will get two seats on the expanded board, a source told Reuters. Misra said in a statement that SoftBank has “tremendous confidence in Uber’s leadership and employees.” Uber board members agreed in early November to governance changes to pave the way for the SoftBank deal. Some initial investors in the consortium, including General Atlantic, dropped out over disagreement about the price offered to shareholders, Reuters previously reported. SoftBank founder Masayoshi Son has taken a keen interest in ride-hailing companies around the world, and already has sizeable stakes in China’s Didi, Brazil-based 99, India’s Ola and Singapore Grab, all of which have competed with Uber. Didi last week raised $4 billion, including some investment from SoftBank. The Uber investment comes after a year of troubles for the company, including a lawsuit by Alphabet Inc’s self-driving car unit Waymo that alleges trade-secrets theft and federal investigations that span possible bribery of foreign officials in Asian countries and the use of software to evade regulators. Over the past year, a former employee’s charges of endemic sexual harassment led to an internal review, London said it is stripping Uber of its license and Uber revealed it had covered up a major hack. Venture capital firms Benchmark, which owns 13 percent of Uber, had indicated that it would sell a portion of its shares, SoftBank said last month. Menlo Ventures, another large shareholder, would tender shares, Managing Director Shawn Carolan said at the time. Carolan on Thursday praised the deal without describing Menlo’s participation. Benchmark did not respond to a request for comment.